Medicare, the U.S. health care insurance that provides benefits to seniors over 65, and to certain individuals who qualify for the program at an earlier age, has been on the cross hairs of the Congressional Budget Office (CBO), who have been questioning whether it is time to phase in and raise the eligibility age to 67. With millions of baby boomers retiring and enrolling into Medicare program, and the recent Medicare spending explosion, is threatening the stability of the U.S. economy. Projection of Medicare spending in the coming decades is expected to continue to exceed domestic per capita growth. Further adding to the growth is increase of life expectancy, translating to; the cost of Medicare has increased along with the life span of the people covered since the program began in 1965. Currently, there is a two prong camps for and against rising the eligibility age of Medicare. One side says that raising the age would save around 3 million a year or about $19 billion, between 2016 and 2023. This would reduce our current deficit to about 1% (our current deficit is $680 billion). Others argue that it is not fair for people to wait two extra years to qualify for Medicare. And that increasing the age would shift the cost to those ages 65 to 66. Seniors would incur an increased out-of-pocket expense of $3.7 billion, and employers tab would increase to 4.5 billion and states would face increased Medicare cost, estimates the Kaiser Family Foundation. Question: What’s your stance on rising the eligibility age to 67? By rising the age and saving 1% on the deficit, will this help our economy or will it dig the U.S. economy deeper into a hole? As seniors reach 65 many are faced with a lot of questions about their health, health coverage, and the many plans accessible to them. Currently there has been a tremendous enrollment increase for Medicare Advantage (MA) plans or Medicare Plan C as they are known. This growth has been on the rise since 2004, and it currently makes up about 25 percent of traditional Medicare enrollee opting for MA plans, reports the Kaiser Family Foundation. This trend has more the doubled beneficiaries’ enrollment from 5.3 million to 13.1 million in 2012. According to the Congressional Budget Office, Medicare Advantage enrollment is expected to grow from 14 million, in 2013, to 21 million by fiscal year 2023. What it means to seniors? More and more seniors choose to enroll in Medicare Advantage plans because these plans provide comprehensive medical coverage which are of higher-quality care, with better services, and provide additional benefits. These plans are also used by elderly and people with disabilities to cover additional medical expenses that Medicare does not already cover. Additionally, MA plans are more likely to be purchased by healthy seniors than other supplemental insurance options because these policies are more affordable on a monthly basis. Cost savings is the driving force behind the increased enrollment of Medicare Advantage plans. With Medicare’s Part A, the insured is provided with inpatient hospital care; however, the enrollees are stuck to cover fluctuating deductibles associated with this plan yearly. Part B covers doctor’s expenses and preventive services, such as, flu. Medicare Part C is the Med Advantage plan that covers the additional expenses not covered by both Part A and B plans, excluding End-Stage Renal. Further savings can be seen with MA premiums. The Kaiser Family Foundation reports that 50% of seniors enrolled in Medicare Advantage plans have no extra premiums, and two-thirds enrolled in the HMO Advantage plans pay nothing extra. What does this growth mean to private insurers? Earlier this year the House mandated a proposal that would make payment cuts to MA plans beginning 2014. By law, Medicare Advantage plans are required by law, to lower cost as much as 7 to 8%, and use 85 percent of their revenue on medical care and quality improvement efforts. Those who fail to meet the requirements will be prohibited from accepting new enrollees, and their plans will be terminated after five years of noncompliance. However, that proposal changed when the Centers for Medicare and Medicaid Services (CMS) decided to increase payments by 3.3 percent. The proposed change could average $50 or more per month for a Med Advantage enrollee. According to the CMS, the change was made to improve program stability and payment accuracy. Selling Medicare Advantage plans is not as simple as having a basic health insurance license. By law, CMS requires agents, brokers and all licensed sales representatives to complete a CMS certification program before any marketing and selling can be done. Additionally, with the certification comes responsibility. It is very important for agents to educate enrollees to what exactly the products they are buying. Another factor private insurer’s face is the CMS Complaint Tracking Module. The CTM is a complaint tracking module used to track the accuracy of incidents and complaints, responses to those complaints and to ensure compliance. With the advancement in technology, private insurers should embrace the latest technologies to facilitate the response time to any compliance needs. And with the help of their well-trained CMS certified representatives and producers, they should be able to quickly address any concerns or request their clients may have. Question: Do you feel that the CMS abrupt change to increase MA payments by 3.3% will further encourage the quality of care seniors receive? Will this help insurers improve CTM compliance? The Centers for Medicare & Medicaid Services (CMS) have decided to keep Medicare Part B monthly premiums at bay. Medicare Part B helps pay for physician services, medical supplies, and other outpatient services not covered by Medicare Part A service plan. In 2014, the monthly base actuarial rate for seniors’ participants will be $209.80 per month, while those low to moderate-income enrollees will pay premiums at $104.90. 2013 monthly premium levels remain unchanged and the $147 deductible will continue for Part B plans per year. Less relevant to participants are the Medicare Part A hospitalization premiums, this is highly due to about 99% of Medicare enrollees qualify for Part A coverage without having to pay a premium, says CMS. In a notice published at the Federal Register, October 30, CMS notice, CMS-8055-N, enrollees that do pay monthly premiums will range between $15 $426 in 2014. An income-related monthly adjustments amount has been imposed by the Medicare program on beneficiaries with an annual taxable income less than or equal to $85,000 or joint annual taxable income less than or equal to $170,000, is $104.90. The most a Medicaid enrollee can pay in monthly premium is $335.70, with an annual taxable income greater than $214,000 or joint annual taxable income greater than $428,000. 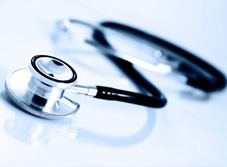 Question: Do you think the government will keep Medicare Part B premiums at bay in 2015 or will there be a premium hike? The Coalition to Promote Choice for Seniors has asked Republican leaders on the House Ways and Means and the House Energy and Commerce committees to protect the Medicare supplement program. The coalition which is made up Industry insurers, producers and includes organizations as the National Association of Health Underwriters, the National Association of Insurance and Financial Advisors, America's Health Insurance Plans and the Blue Cross and Blue Shield Association groups. Moreover, the CPCS has defended the Medigap program and has written to Republican leaders in response to allegations that some Medigap plans drive up Medicare program costs. The Medicare Supplement program helps pay the out-of-pocket expenses not covered by traditional Medicare Part A and Part B, like medical care, co-payment, coinsurance and deductible requirements. Medicare Supplement insurers are required to offer standardized packages of benefits by law. Supporters for the program say that seniors who purchase the higher quality plans are the ones that know they are more likely to require the need for more expensive care, minimizing their out-of-pocket costs. Critics argue seniors may be encouraged to get unnecessary care, adding little or no value, due to the ease of access to the richer Medigap products. In October 21st in a letter to Congress, the coalition cautioned “that higher levels of cost sharing would result in delayed treatments that could increase future Medicare costs and result in adverse health outcomes for vulnerable beneficiaries.” They said that restricting the plan options could lead to millions of beneficiaries, who already spend 15% of their income on health related issues, to financial hardship. Under the existing federal and state law, Medigap contracts are “guaranteed renewable.” Any changes to the law “could result in significant complaints and litigation by changing existing insurance contracts”. Debates over restricting access to richer Medigap products and imposing surtax on some or all its policyholders are fiercely debated by leaders of the House. Question: Will altering the Medigap plan hurt financially vulnerable seniors who are already beneficiaries, or will it discourage seniors from seeking unnecessary care and help the plan save money on the long run?